Emergencies can occur anytime, and they don’t come up with prior notifications. It’s during these times that you need effective financial support that can pull you out of such situations. Getting your hand on the right amount of cash at the right time is crucial to meeting these emergency situations and in order to do so, you need the backing of reliable lenders who play by the rules. The presence of emergency loans and quick financing options help you meet unexpected situations and deal with critical challenges. When you need financing and loans for your emergencies, make sure you check the availability of funds, loan options, and credibility of the lender. 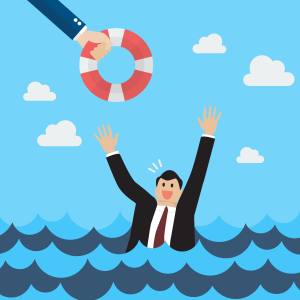 Let’s go through a brief account of the do’s and don’ts in obtaining an emergency loan. Many borrowers choose to cash out their investments whenever an emergency pops up. Make sure that this liquidation doesn’t land you in greater financial stress. For instance, investments like FD or long term ULIPs carry stiff penalties if the investment is liquidated before its due term. Will the amount you receive after the penalty be enough to pay for the emergency requirement? What will you do for the upcoming need for which you had invested into these financial instruments? These are questions worth answering. When your financial needs are urgent and immediate, a highly reputed and reliable emergency loan company will render the desired support. Although these companies will give you the money in no time, a lot of factors pop up during repayments. Your income, repayment capacities, and other criteria will play a vital role in determining payable amounts. Additionally, they carry a much higher rate of interest than traditional loans simply because of the risk they are undertaking to provide you this quick loan with little or no security. Despite the benefits, it is always better to read the clauses and terms before applying for payday loans. If you are in dire need of money, a life insurance policy will prove to be a potential source of financing. Depending on the rates offered by the insurer, you can cash out a whopping 95% of the entire policy value. Different companies will have distinctive offers, and you need to be clear of the clauses of your particular life insurance policy before making the final choice. You can always fall back on your closest relatives and friends in times of need. Getting loans from personal sources can be a good experience if you stick to the clauses and repayment terms. You have to take control and make sure things don’t turn ugly between you and the lender. Stick to your words and that will prove your credibility. Have you checked with your employer about the possibility of advances against loan? Many good companies provide this benefit especially if you have been working with the company for a long time. The amount to be repaid will be deducted from your salary in smaller instalments. If you need emergency funding, getting in touch with a good financial advisor will be prudent. With a host of options, you will benefit from their expertise to determine which option will suit your specific needs better. Know your requirements and repayment capability and only then, apply for a loan. Even if it’s an emergency, you shouldn’t lose your mind over this issue. Always keep the repayment amounts, deadlines, your credibility, and interest rates in mind. These factors will play a crucial role in servicing the loan promptly without any delays.